High Performance ‘KORUS’ 12GHz True 75 ohm BNC with black finished body and gold plated inner and outer contact. 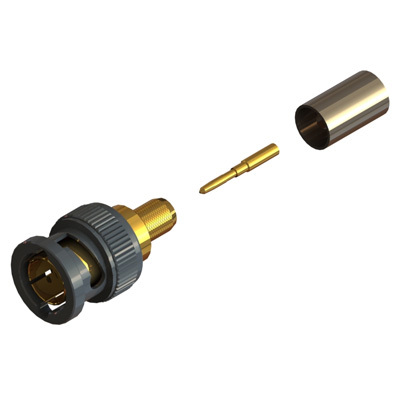 High Performance 75 ohm BNC crimp / crimp plug tested to meet the requirements of SMPTE ST 2081-1 & ST 2082-1 for use in Ultra HD 6G & 12G systems. Suitable for cables in group JB. Suitable for Cables in Group JB - full cable information available here.